Dual Sim phones seem to be making a bit of a comeback. Back in the day you used to be able to get Windows Mobile devices with two SIMs. Then they just disappeared, bar a few low end ones from Viewsonic. Then the other week we reviewed the dual SIM Acer Liquid Gallant Duo which blew me away in how Ice Cream Sandwich handled two SIMs. We have had word today the Expansys have got an exciting looking device into stock. 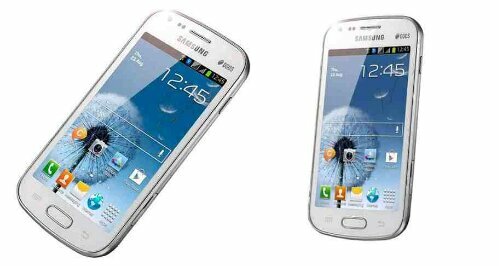 It is the Samsung Galaxy S DUOS, it has a fairly basic spec but it will come with all the Samsung bells and whistles. The main feature though is the dual SIM setup, it would be an interesting one to get our hands on, to see if it is better than the Acer we reviewed the other week. So if you’re interested in trying one out head over to this page here and get one. They are currently selling for £239.99.